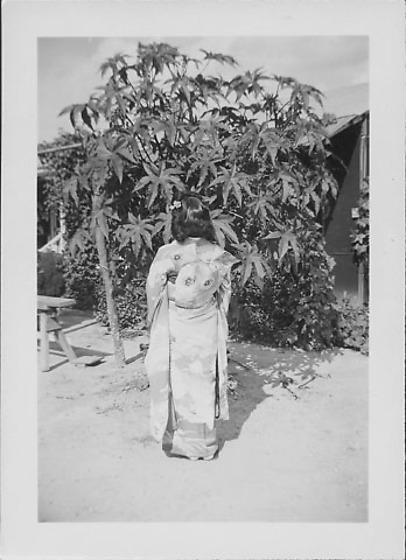 Full length portrait of a young woman in kimono with furisode sleeves shows her obi as she stands with her back to the viewer outside in front of a tree at Rohwer concentration camp, Rohwer, Arkansas, 1942-1945. She has shoulder-length hair. Tree has large seven pointed leaves. Barracks in background.